Remember Jonathan Mann? He became popular on YouTube for writing and uploading a brand new song each and every day, and he’s famous among Apple fans for writing a song about the iPhone 4’s Antennagate, which was played at a special press event held by Apple to discuss the issue. 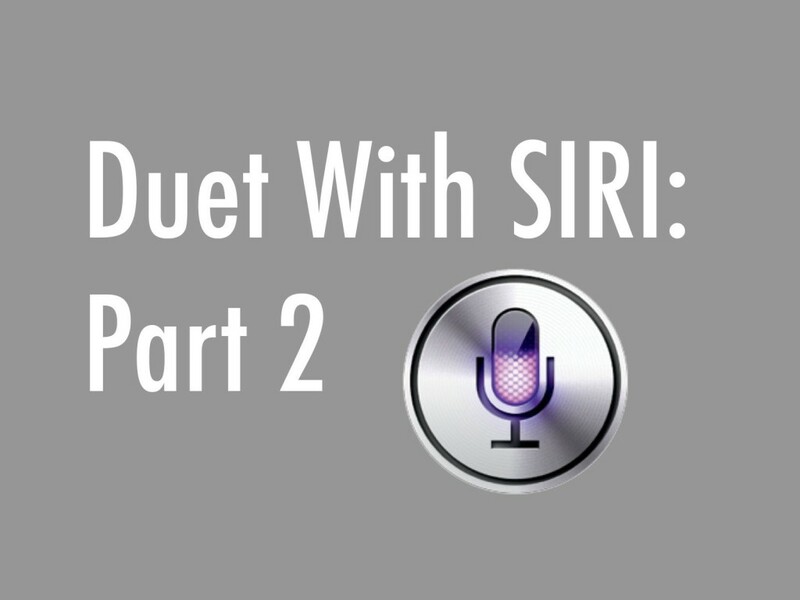 He also did a duet with Siri, which we covered back in October. Mann’s now back with Apple’s digital assistant for a special happy birthday song. This is Mann’s 1,365th song of the day. It’s pretty incredible that he’s been doing this for so long, I think. Siri turns one on October 4 after making its debut on the iPhone 4S. It remained exclusive to the iPhone 4S until just recently, when iOS 6 brought the feature to the new iPad, the fifth-generation iPod touch, and of course the iPhone 5. Siri also got better with iOS 6, with the ability to find sports scores, restaurant reservations, and movie showtimes and reviews.